As a biology student at Northeastern University, I was fascinated with ecology and sustainability. Northeastern offers an amazing co-op program that allows students to leave the classroom and work in their field professionally for 6 months. Being in Boston, most co-op jobs were in the pharmaceutical industry, which I found out the hard way was just not for me. After tirelessly scrolling through an endless list of internships at medical and pharmaceutical research labs, my ears immediately perked up when I heard about an opening at The Best Bees Company. I was without a doubt on board. My cool punk rock cousins from back home in Providence were beekeepers, and if they were into bees, I HAD to try it out, right? Fast forward three years and I find myself on the opposite side of the country, installing two rescued swarms on the 30th story of a high rise in Los Angeles. Never did I think my quirky honey bee obsession would follow me to LA! Southern California’s climate is both a blessing and a curse for beekeepers in the region. The year-round sunshine and high temps mean that the “season” never really ends. There’s no period of hibernation. Beekeepers must work their hives year round, but don’t have to wait out the winter wondering if their colony survived. With the warm temperatures brings the challenge of a longer swarm season and sometimes more aggressive bees. Although they’re uncommon, aggressive Africanized bees have become infamous in the region. All of these challenges are worth the struggle for the abundance of honey that can be harvested through the fall months. Until last year, beekeeping was not legal in LA County. Local organizations fought for many years to get the ordinance passed, and they were finally met with success in October of 2015. Beekeeping had been outlawed for nearly 100 years, so this was a huge win for local beekeepers and nonprofit organizations like HoneyLove, who are fighting to save the bees. Legalized beekeeping means increased awareness and education surrounding honey bees and their complex societies. 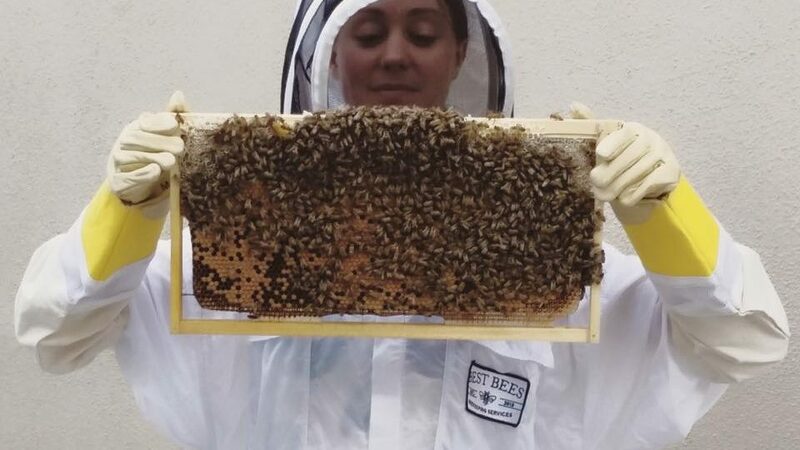 Thanks to amazing organizations like HoneyLove and the Los Angeles County Beekeepers Association, residents are learning that honey bees aren’t so scary after all. Many are suiting up to see for themselves the challenges and rewards that the crazy world of beekeeping as to offer. 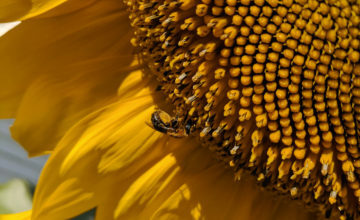 The growing interest and awareness makes it an exciting and inspiring time to be a member of LA’s beekeeping community! The Best Bees Company is actively hiring beekeepers in all nine cities where we operate. We’re proud to provide paying jobs for local beekeepers, both experienced and new to the field. Currently all positions are part time, but we encourage all interested participants to reach out. Responsibilities include hive inspections, equipment building, and honey jarring, among other related tasks. In some cities we have the opportunity for staff to do light rooftop farm work in addition to beekeeping. If you’d like to apply as a part time beekeeper, please send a resume and cover letter to Sean Smith at s.smith@bestbees.com.